Twenty years ago, Suzie Longstaff had a successful sporting career as Cox of the GB Olympic Women’s VIII before hanging up her rudder strings to teach Maths and ICT. 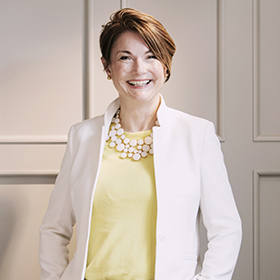 Now Headmistress of leading girls’ day school, Putney High School GDST, Suzie leads a spirited and vibrant community of staff and students where ambition, curiosity and intellectual challenge flourish. Named this year as one of iExcellence’s 25 key influencers in education, Suzie takes a forward-thinking approach to empowering her students, preparing them to make their mark in their future careers.